For Catholics, the saints are arguably our best role models for holy living. 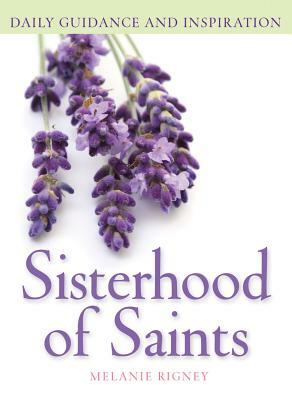 In this page-a-day book for women, Melanie Rigney gives us a wellspring of interesting and diverse female saints who aptly show the way to be better disciples of Christ. Through their lives and experiences, we find examples of how to meet the challenges of daily life, be strengthened in our faith, and, in the process, become the people God created us to be. You'll meet saints who may be familiar to you, such as Teresa of Avila, Elizabeth Ann Seton, Monica, Lucy, Agnes, and Katharine Drexel. With them, there are others less familiar, and many whom you will not have known before: Cunegund, Mechtildis of Edelstetten, Hildegard, Mary Magdalen Postel, Rose of Viterbo, Anna Pak A-gi of Korea, and Mary Faustina Kowalska. A brief bio of the saintA reflection on how that saint's life applies to our lives todayA quote either from Scripture, the saint herself, or a resource about the saintA challenge that echoes a particular highlight of the saint.Some of the women featured in this book are blesseds, but most are saints. All of them will inspire and guide you with their faithful witness to the love of God and a Gospel way of life.